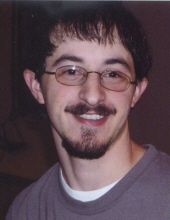 Zachary A. Caprara, 31 of Penllyn, died on December 1, 2018 after a long battle with opioid addiction. He had been clean and doing well for the past 7 months. It was a shock to family and friends, who had recently seen a happy and healthy Zach. He talked about the future, and making plans with family and friends. He was born in Philadelphia, PA on July 15, 1987 to John and Betsi (Eisman) Caprara. Zachary was a graduate of Wissahickon High School class of 2006. He enjoyed music of all genres and was very loving, eclectic, had a sharp mind, and great sense of humor. He was a fan of WWE wrestling, enjoyed video games, and loved his dog Megan. In addition to his parents John and Betsi, he is survived by his Uncle Al, Aunt Alice, Uncle Harry, Uncle Frank, and Uncle Jamie, his cousins Sophia, Henry Jr., Sarah, Jordan, Lauren and Danya. Relatives and friends are invited to a Visitation from 6-7 p.m. followed by Memorial Service at 7:00 p.m. on Wed. Dec. 5, 2018 at Emil J. Ciavarelli Family Funeral Homes & Crematory, 951 E. Butler Pk., Ambler. Interment Private. Memorial donations in his name to Malvern Institute, 240 Fitzwatertown Rd., Willow Grove, PA 19090. Condolences may be made at www.ciavarellifuneralhomes.com. To send flowers or a remembrance gift to the family of Zachary A. Caprara, please visit our Tribute Store. "Email Address" would like to share the life celebration of Zachary A. Caprara. Click on the "link" to go to share a favorite memory or leave a condolence message for the family.